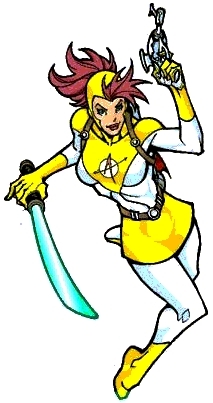 Story: Astro Girl was one of the heroes that participated in the contest for membership of WildGuard. She did not win a place in the group/reality show . Skills & abilities: Some degree of invulnerability, can survive in outer space without protective gear and equipment. Equipment:	Energy sword and ray gun.